To highlight the work being done by professors at the University of Washington, the College of Education hosted EDU Talks, a kind of TED-Talks-meets-academia. Education research can be deadening, weighted down in academic language with findings often buried in a blizzard of qualifications. 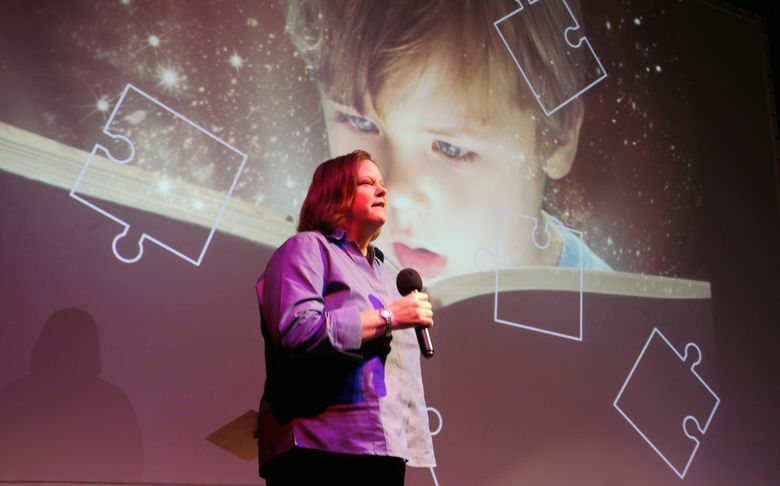 But a few weeks back, 16 professors from the University of Washington’s College of Education took the stage at Seattle’s Central Cinema to explain their studies in five short, nearly jargon-free minutes. As Dean Mia Tuan opened the event, called EDU Talks, she said her one-on-one talks with faculty after becoming the college’s leader inspired her to help them reach a wider audience. The professors packed a lot into their five minutes, covering a wide range of issues — everything from the benefits of boosting fathers’ parenting skills to the importance of effective school bureaucracies. — Holly Schindler talked about how she and her team films fathers as they play with their children, then later show the fathers the highlights, pointing out what they did that aided their childrens’ growth. The result: Big benefits for the kids and dads, especially dads whose own childhoods had adversity and trauma. — Janine Jones focused on she works to nurture resilience in children of color, saying that can help them keep racism, microaggressions and implicit bias from chipping away at their self-esteem. — Nancy Beadie dug into the history of education policy, looking for how it shapes the present. One key period, she said, was the 1870s, when she said the U.S. came closest to having a national education system. Instead, the country went in the opposite direction, allowing states to set up what she views as often-deliberately unequal systems and policies. — Kathleen Artman Meeker explained a pilot project in which teachers receive in-the-moment help from remote coaches who, using technology including Face Time and wireless ear pieces, can hear what the teachers hear, see what they see, and talk them through classroom challenges. That coaching, she said, has helped teachers working with autistic students double the chances for those children to communicate. –James Mazza talked about his efforts to reduce youth suicide, in part through building students’ emotional and social skills, which helps them better handle emotional distress. To see all 16 talks, see the EDU Talks page on the College of Education’s website.